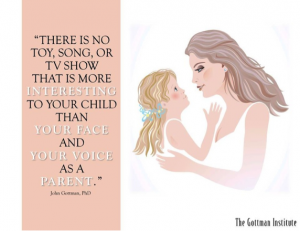 Parenting is often described as one of the best, most stressful jobs that a person can take on in this life. While becoming a parent may not always be a decision made or something that is planned, it is an incredible responsibility that comes with a new set of rules, never ending questions, and the need to constantly be “on”. So, what happens when parents go from being ‘on’ top of things, to just being ‘on’ their phone maybe a little too often? The term for this phenomenon is “Distracted Parenting”. You may not have heard this term before, but I am willing to bet you have seen it. At a restaurant, an entire family on their phones, not speaking to each or even making eye contact. At the park when a child is behaving in a way that would likely be corrected if their parent was not on the bench completely immersed in their phone. At a school or church event and that one kid is running out of the door with no adult present and you think, “Where is the adult? !” The situations are too commonplace and have caused concern among pediatricians. The American Pediatrics Association recently revealed that more children are being treated for severe injuries from playground accidents than in the past. They asked why this is occurring when the playground equipment is actually the safest it’s been in decades. Literally. The answer: Distracted Parenting. 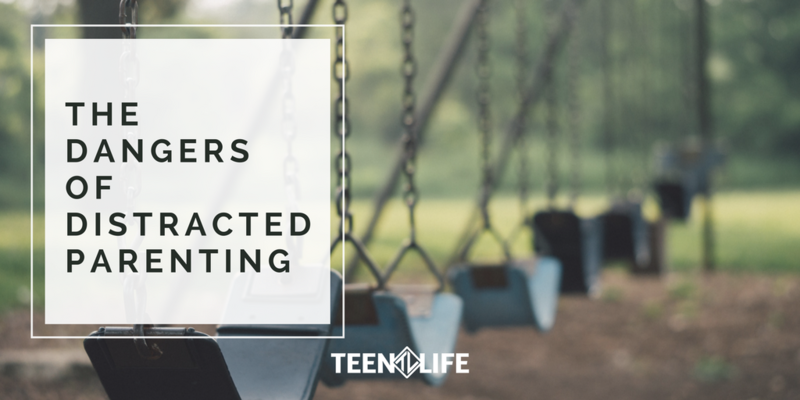 Parents were observed at playgrounds where they looked at their phones, talked to each other, and did ‘other things’ more often than they looked at their child. The researchers point out that children pick up on when they can partake in risky behaviors and tend to do so when they perceive that their parent is distracted. Some children take risks even when the parent is paying attention, so I can only imagine what those children do when they realize no one is watching! Not only is there potential for physical harm when distracted parenting happens, it can also be emotionally damaging if a child or teen feels that their parent is too busy to talk or participate with them. Too often parents are sharing that perfect Instagram pic of their kid going down the slide rather than watching them in real life. Too often parents are more interested in posting about their “family” dinner rather than participating in a conversation at the table. An article on Psychology Today shares that being distracted as a parent is expected, especially with multiple children in the home or with parents working, however it is the level to which the distraction occurs that matters. Children and teens are not always the most observant people, but they do notice when the important people in their lives are not paying attention and will take advantage by testing what they can get away with, whether it’s jumping from the highest point of a jungle gym, sneaking out at night, or skipping school among other risky behaviors. This is why I encourage all of us to focus on putting the phone away and have actual conversations with the children, teens, and adults in our lives. Have a conversation with your teen at dinner, play with your child at the playground, watch your child so they don’t run out the door before you can catch them. I promise, no one will care if pics are posted after the fact, but your child will notice if you go down that slide with them in the moment, they will remember the conversations they have with you, and they will remember the times you give them your undivided attention to help them. When was the last time you played with your child or teen? Ask your child(ren) if they feel you are distracted. (Honesty can go a long way in opening up communication. Respond in kind and avoid responding defensively).